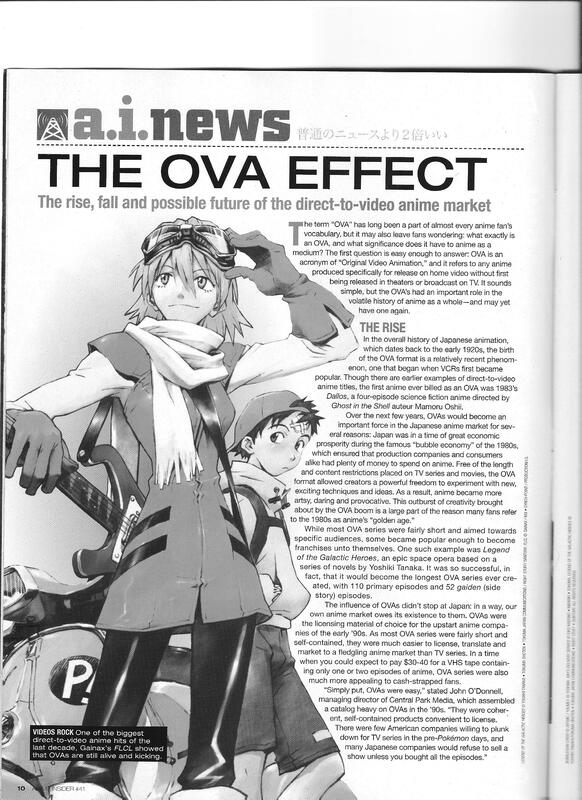 An article briefly summarizing the history of OVAs, with an interesting tidbit on how their short lengths (and proportionally more reasonable licensing costs) helped younger localizers in the US. 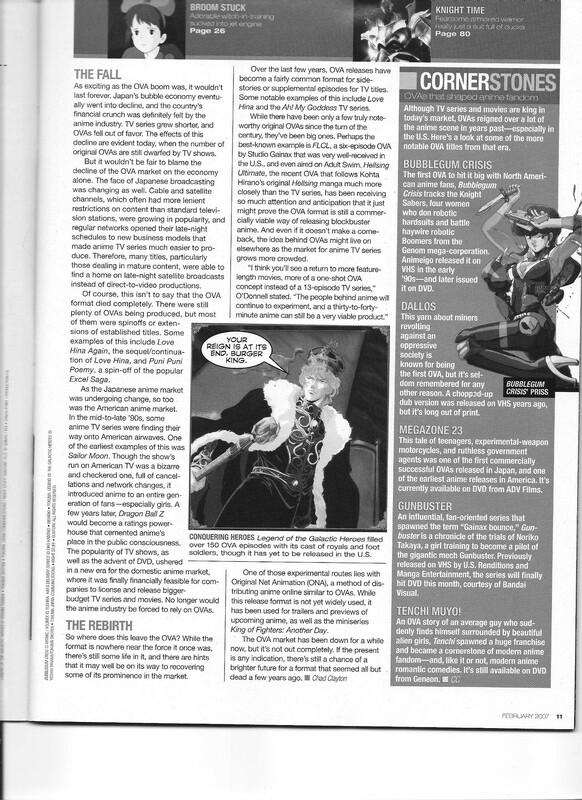 This entry was posted in Old Magazine Articles and tagged Anime, Borderline Plagarism for the Freedom of Information, OVA by torisunanohokori. Bookmark the permalink.